Minneapolis Musical Theatre opened their season this weekend with the regional premiere of “Carrie The Musical”, an adaptation of the Stephen King novel. I have never seen the 1976 movie or read the book. I was going into the show without any preconceived notions of what the show should or should not be. Admittedly I was nervous. I wasn’t sure what to expect, but by the end of ‘In’ the opening number I knew I was going to enjoy the show. The original production flopped on Broadway in 1988, but in the Spring of 2012 Manhattan Class Company produced a re-imagined version off Broadway. The re-imagined version is complete with catchy uptempo tunes and gorgeous ballads. The bullying portrayed in this version is also relevant in today’s society where through the advent of social media bullying doesn’t stop when school is over. Rebecca Gebhart’s Chris Hargensen is the quintessential mean girl. The girl who runs the school and takes the reins when bullying Carrie White. Jill Iverson plays to Carrie White’s innocence. From the moment we meet Carrie as an awkward, shy, outcast you can’t help but love her. We can all identify with her. We were all her at some point in our life. Lori Maxwell portrays Carrie’s mom Margaret as a loving, overprotective, religious devotee. She doesn’t play to the psychotic angle you would expect. Darren T. Hensel’s set is perfect for the small space. I was curious how they were going to pull off the famous prom scene. I was pleasantly surprised that the lighting effects and transitions they put in place for this scene works wonderfully. 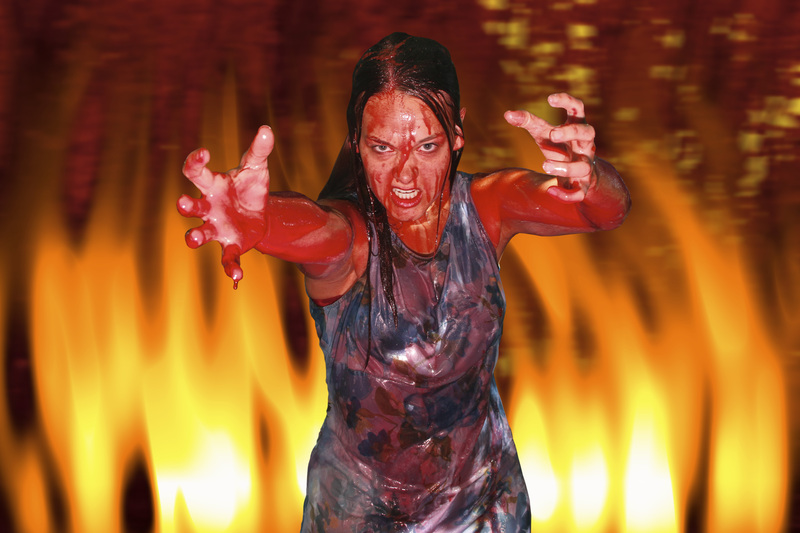 “Carrie The Musical” plays at the New Century Theatre at the City Center building in Minneapolis through October 27. For more information on the show, or to purchase tickets, visit the theatre’s website.